Blue Crossing Campground consists of 4 campsites and that usually means you may be the only one at the campsite during your stay. For those who like to fish, don't get too excited, the Blue River runs pretty thin in late summer. When I was there in early September, there was only a small rivulet flowing, so check it out in late spring or early summer. The drive into the campground alone is worth the trip. Hikers can wander into the nearby Blue Range Primitive Area, but must be aware of the wildlife which can include mountain lions. 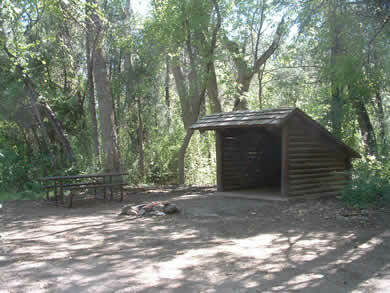 This campground may be unaccessible during high waters mainly during the spring runoff. 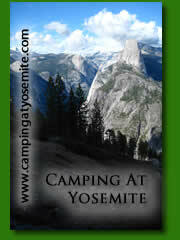 There is no fee to stay at this campground. From Alpine, travel east on U.S. 180 3.3 miles to the turnoff at FR 281. Follow FR 281 for 20 miles then turn right on FR 567 and travel 0.1 miles to the campsite. The campground is well marked. From Hannagan Meadows, travel north on U.S. 191 10 miles to Red Hill Road and drive the scenic road to the campground at the base of the mountain.